my favorite is the one she wears as TLD's resident science sleuth. Please help me welcome Buffy Silverman back to Today's Little Ditty! 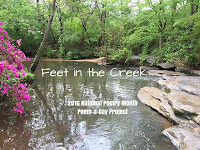 shed light on how to give voice to the natural world through poetry. Today's post takes that voice one step further, from the page to the classroom. It's all about making connections. Thank you for connecting with us here, Buffy. I’ve had a busy March, crisscrossing Michigan and driving to school visits. 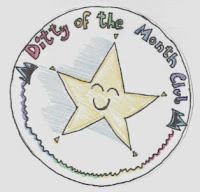 Many schools invite authors as part of their March-is-Reading month celebrations. For someone who spends much of her time alone in her basement office, the rock-star treatment I’ve gotten when visiting schools is a treat. It’s especially enjoyable (and obvious!) when schools prepare their students for a visit. Those are the schools where banners greet me, doors are decorated with themes from my books, and kids wave and cheer and ask me if I’m really Buffy Silverman! Best of all, teachers tell me that students have been clamoring to read my books. When Michelle reminded me that I was scheduled to write a blog post, I thought it would be a good time to reflect on school visits. The schools that invite me are usually looking for a nonfiction author. 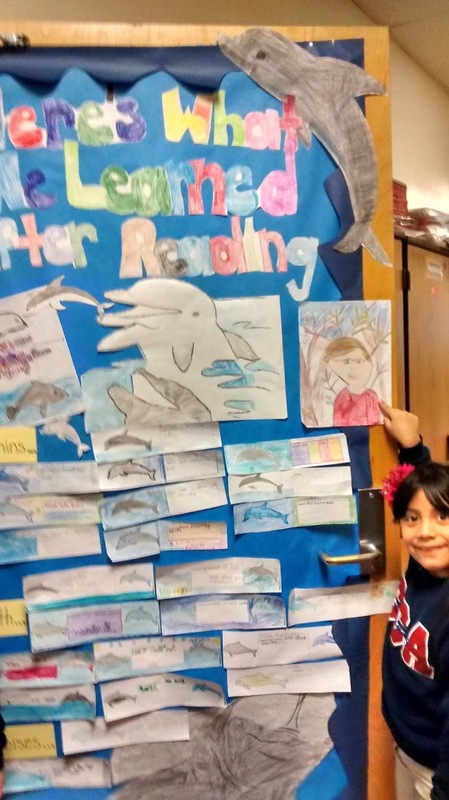 I’m thrilled when teachers tell me how they’ve used my books in their classrooms. During my large-group presentations I share some of the different hats that a writer wears (yes, I wear funny hats.) And I share a few different ways that I write about one topic: an informational book, a narrative nonfiction story and/or a poem. Perhaps what matters most when speaking with kids is making connections. Do I connect with students so that each one takes away something positive from my presentation? Do I support teachers and encourage students by connecting with what they are learning in their classrooms? Do I inspire kids to connect and wonder about the world around them? And do I connect them to the world of reading and writing? So I try to involve students in large-group activities. With younger students, after reading an informational book, I help them act out a story about the same topic. I “volunteer” a couple of teachers to lead the actors, and give the remaining teachers supporting roles. The kids usually love seeing their teachers in these roles. And hopefully, when students participate in a story that I’ve written, we are making a meaningful connection! I’ve also found that my presentations help me make new connections about my writing. In a presentation with upper elementary students that focuses on bats, I share an informational and a narrative book on bats, and a poem for two voices about bats and moths. And here’s another connection: the poem also fits Marilyn Singer’s challenge this month to write about echoes! I will close with my poem, which I hope you will imagine being read by a large crowd of squeaky fourth-grade bats and whispery third-grade moths. 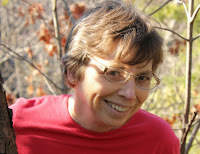 Buffy Silverman is the author of 80 nonfiction books for children, winning awards from Science Books and Films, the Children’s Book Committee at Bank Street College, and the Society of School Librarians International. She's also written poems and stories for popular children's magazines, poetry anthologies, and educational resources. Many thanks to Doraine Bennett for featuring my poem "The Story of Nothing" this week at Dori Reads. 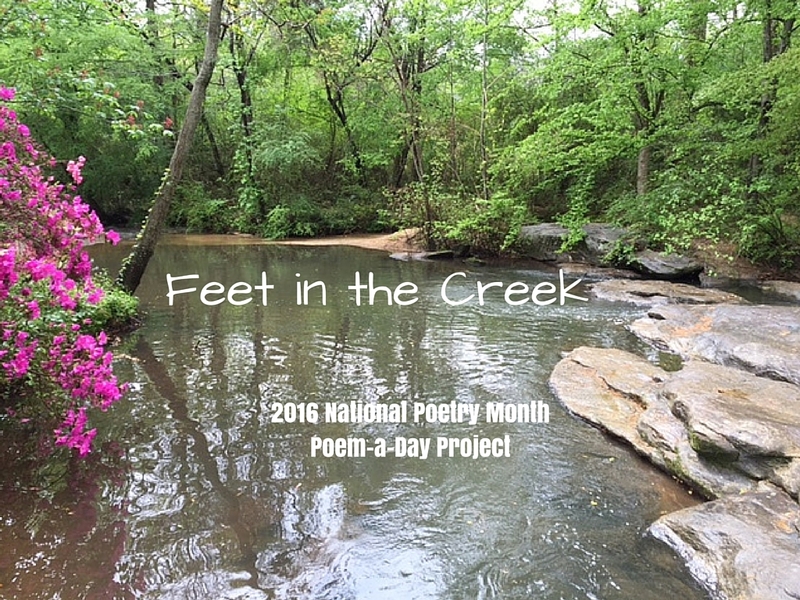 It appeared as part of her 2016 National Poetry Month Poem-A-Day Project, "Feet in the Creek," in which she uses others' work to inspire her own poems about the creek in her backyard. Dori's poem in response is titled "There's Nothing to Do!" In celebration of National Poetry Month, Marilyn Singer has challenged us to write poems inspired by the word "echo." Click HERE to read last week's spotlight interview with Marilyn. This week's featured poems were by Brenda Davis Harsham and Kristi Dee Veitenheimer. Thanks also to cbhanek and Catherine Flynn for posting their "echo"-inspired poems today. If you're looking for other creative ways to participate in National Poetry Month, Jama Rattigan is your go-to for 2016 Poetry Month festivities at Jama's Alphabet Soup. And last but not least, this week's Poetry Friday Roundup is being hosted by the ever-effervescent Laura Purdie Salas and her less-than-lovely (though VERY funny) poetry sidekick, Louis J. Pasternak, AKA Dr. Skullstench. You'll find them at Writing the World for Kids. School visits are fun - but I agree it can be strange after months at home writing. Bat and Moth is very clever. How wonderful, to surprise yourself with your own brilliance, Buffy. :) Love your Bat and Moth - and agree about the importance of connections AND the value in schools preparing for author visits. So much more meaningful for the kids! Buffy, thank you so much for taking us into schools with you. It's great to hear your thoughts about your goals and how to meet them. It's also great to hear that you are treated like the rock star you are! And what an awesome idea, to share a topic and some of the ways you've written about it. I end up writing poems and nf and sometimes fiction related to one topic, but I've never ever shared that with students. Duh moment. I'm totally intrigued by your large-group activity. How does that work? Do you have a video clip? I'm fascinated by the concept but have no picture of how that might work! Thanks, Buffy--Happy Poetry Month! I've done this most often with a garter snake program for K-2. After kids have learned about garter snakes from an informational book, we practice being garter snakes (crisscross applesauce snakes for crowd control!) 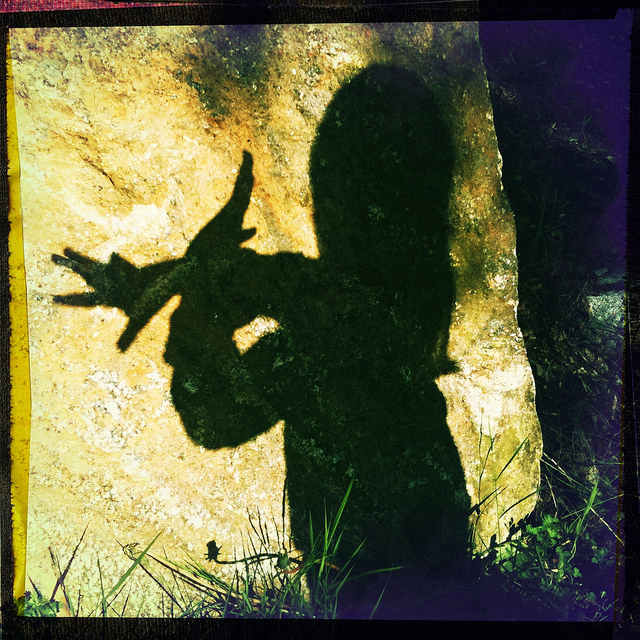 Kids make a snake with their hands that slithers, warms itself on rocks, flicks its tongue, looks (with hands cupped on side of head for eyes), hides from predators, pushes head into soil to find worms. Then while I read the garter snake story (a short story that was in Ladybug) the kids act it out--here's where it's helpful to have teachers up front and leading. During the story, other teachers act as crows and flap through the crowd while the snakes hide. I've got photos and one of these days I'll update my website and put some up. I guess it's essentially reader's theater, with all the kids playing the main character. How fun to hear about your school visits, Buffy. I know kids and teachers alike must be delighted and engaged. 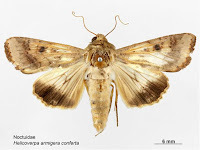 I'd love to be a fly on the wall (or a bat on the ceiling or a moth near the light) for one of your visits. Your poem is so wonderful. I love imagining it being read by the squeaky and the whispery! So fun to hear how excited and prepared the kids are. I know how happy my kids are to come home and tell me about visiting authors. Great poem, too! Like frosting on the cake. Thanks all for the comments about my poem and about school visits. It's amazing how kids perceive you when you are the special guest at their school--I think they are especially receptive and interested in meeting an author, and it usually makes for a very enjoyable day. 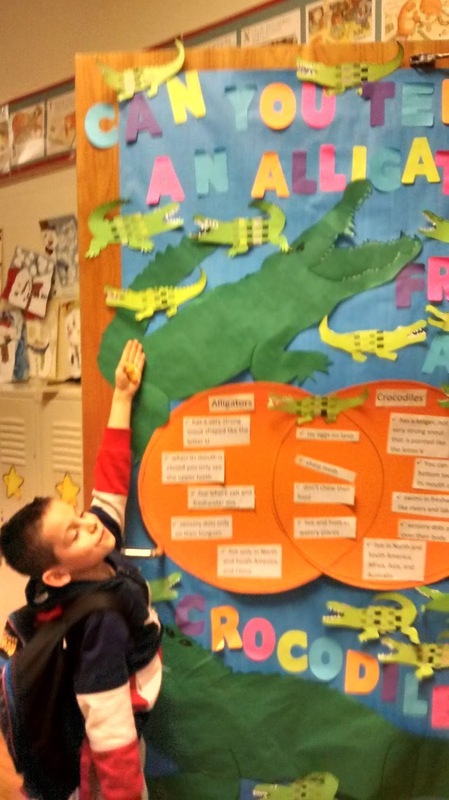 I love hearing about schools that prep for author visits! Your comments about connecting are spot-on. And that's a great poem for two (or more) voices! Thanks for the behind the scenes look at how you prepare for author visits, and for the fabulous scientific echo poem! Special thanks to you and to Buffy; your post title, it strikes me, is an apt commentary on what TLD site does so brilliantly: help us make connections! God bless you, and thank you! 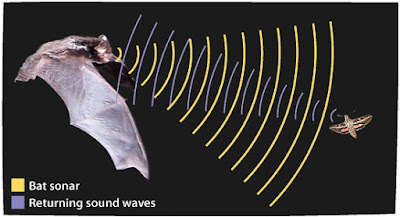 As a fan of poems for two voices, I appreciated the DMC connex with "Bat and Moth." One query for Buffy, if she doesn't mind. Had she/would she consider presenting that poem as a reverso? (I've tried "fooling around" with a reverso or two in response to the DMC echo challenge & have put on back burner for more percolating.) God bless you! Thanks! p.s. Many thanks, too, for including a link to the echo poem I posted on my site. I appreciate the "shout out." Loved hearing about your school visits, Buffy! They sound like a lot of fun. Like Laura, I love the moonlight refrain in your wonderful poem. Thanks for sharing!